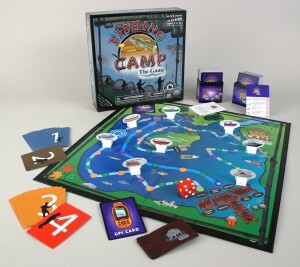 Board games don’t have to be bored games with your kids – especially with the new Fishing Camp board game from Education Outdoors, which sets the hook for fun via fishing-related trivia. While telling fish stories won’t help you win as you and your kids race around the board to be the first back to the docks, the stories you get afterward will help fishing win their hearts. 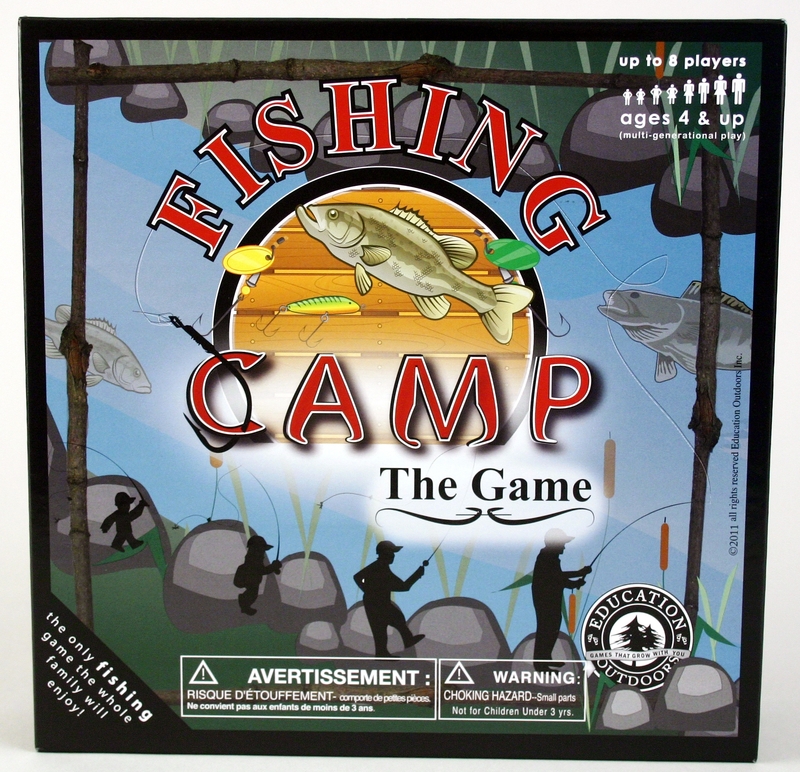 Produced by Education Outdoors and a recipient of The Toy Man® Seal of Approval, Fishing Camp – designed by avid outdoorsman and father Tim Paczesny, who grew up at his family’s log cabin resort in Northern Michigan — is rated for ages 4 an up and can be played by 2-8 people. To play, each player rolls the dice and moves his or her boat that number of spaces forward on the board. If the boat stops on a green lily pad the die is passed to the next player, but if the boat stops on a yellow lily pad the player draws a Fishing Camp trivia card. Answer correctly and you roll again. Half of the trivia cards in the deck feature images of types of fish on them. If a player draws a fish card and answers the question about the fish correctly, he or she keeps the card. A player may “catch” five fish per turn before having to throw one back. Some cards also have a special GPS icon on them; draw one and answer the question correctly, and you’re allowed to take a shortcut to the docks. Players have to try and avoid landing on a “Go To Shore Lunch Island” spot during their turn. If their boat does have to go to shore, the player reads a Fishing Camp fun fact for all to hear and then the turn ends. 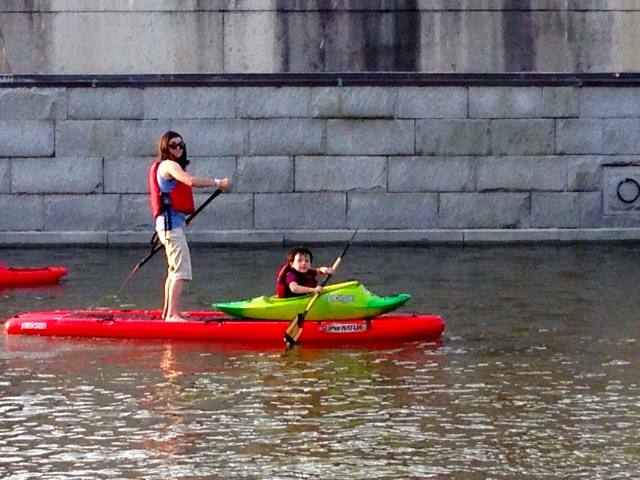 The first player to park their boat back at the docks with a fish on board is declared the winner of the game. 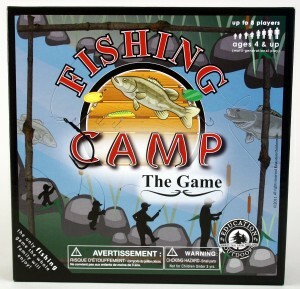 Fishing Camp retails for $24.99. 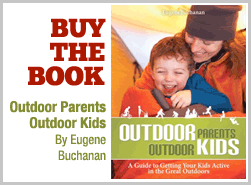 The game can be purchased at www.educationoutdoors.net.